In 2016, almost 4% of pending home sales fell through before the deal closed. While there are many reasons a sale goes bad, finding structural and other damage in the home is a big one. Many times, it’s the next step after home inspection where the deal goes sour. The home inspection is usually the last chance a buyer or seller has to opt out of a real estate deal. But what happens after a home inspection to cause this phenomenon? Along with an offer to purchase, most home buyers request that a home inspection is performed. Typically, the sale of the home is contingent on the results of that inspection. When your offer to purchase is accepted, your agreement usually gives a timeframe for how long you have to hire the home inspector, have the home inspected, and request repairs. By the same token, the seller has a set amount of days to respond to those requests. However, these timeframes can usually be negotiated to suit both the buyer and seller. The purpose is to find any defects in the home that can’t be detected by an untrained person. They’ll also check that the home is compliant and that it’s safe for occupation. This gives you a much better understanding of the condition of the home, what you’re purchasing, and the investment you’d be required to make if you had to fix those repairs on your own. The home inspection is a crucial element of any home purchase. Considering the vast amount of money you’ll be spending on this purchase, you want to know the home inside and out. After the home inspection is completed, there’s (potentially) a lot of back and forth between the buyer and the seller. Below, we explain the next step after a home inspection and what you can expect. In the period between the actual home inspection and receiving the report, you’re just playing the waiting game. But when you receive the inspection report, the real work begins. Your home inspector will provide you with an inspection report that’s several pages long. The most important aspect of this report is the summary sheet. These first few pages will tell you which items are most important and what needs to be fixed right away. Go through the summary with your real estate agent, who will have a better idea of how to handle those suggestions. You can also call the home inspector for clarification on any of the items. Ensure that you understand this report inside and out. It’s your main source of information for the decisions that have to be made in the next step after a home inspection. 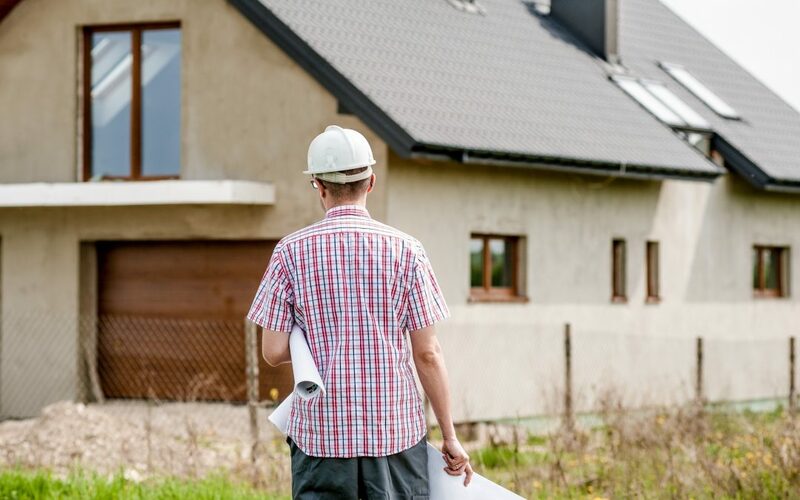 After reviewing the home inspection report with your agent and with the help of your home inspector, you have to make some important decisions. Consider whether those repairs are too serious to move forward with the deal or whether they’re minor enough that you’re willing to proceed. Alternatively, you can also ask your seller to make those repairs, which is what we’ll discuss next. Go through the repairs with your real estate agent and decide which ones are most important to you. When you’ve decided which repairs you want the seller to make before closing, you’ll notify them in writing. Your agent can provide you with the right paperwork for this. Known as a repair addendum, your agent will also deliver this to the seller’s agent. You’ll also include a copy of the home inspection report to backup and provide evidence of your claims. On the repair addendum form, you might also ask for a reduction in the price of the home based on the repairs required. You can ask for a reduction without any repairs, a reduction along with some repairs, and even get out of the contract if you so choose. In the next step after home inspection, the seller also has decisions to make. After they’re given the repair addendum form, they have a certain amount of time to review the requests with their agents and other experts, get quotes for the repair costs, and respond to your requests. They too can decide whether to proceed or discontinue the sale at this point in the negotiations. In most cases, the seller will agree to make some of the repairs but not all. They might return with a counteroffer, and this is where the back and forth of negotiations gets tricky. It’s at this point that many real estate deals fall through. As mentioned, in most cases the seller will agree to some repairs but not all. Alternatively, they might accept or offer a reduction in the cost of the home in order to push the sale through without needing to handle the repairs. But, sometimes, a seller will refuse to do anything about the needed repairs or the cost of the home. If the seller says no to all of the above, then you can decide to counteroffer, move forward anyway, or walk away from the sale of the home. If you decide to walk away, make sure that your real estate agent sends a copy of your offer along with the inspection report to the seller. Why is this important? The reasons are two-fold. Sometimes, a seller can be swayed after seeing the reasons for your reduced offer. But more importantly, it makes the seller aware of the issues with the home. Because most states require that a seller disclose everything they know about their property, this means they have to disclose these issues to the next potential buyers. The next step after home inspection is one of the most nail-biting parts of a real estate deal. It’s the last possible chance for a deal to fall through as buyers ask for repairs or cost reductions and sellers choose whether or not to fulfill those requests. However difficult the process is, it’s absolutely necessary to have a home inspected before purchasing. If you’re buying a home in Northeast Ohio, schedule your inspection with us today.